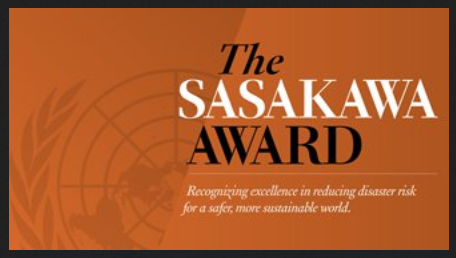 GENEVA – Nominations for the 2017 Sasakawa Award are now being accepted and the judges want to recognize an individual, organization or initiative which has made a substantial contribution towards saving lives and reducing global disaster mortality. The deadline is 31 January 2017. The 2017 Global Platform for Disaster Risk Reduction will be held in Cancun, Mexico on 22-26 May. It will be the first time the most important international forum dedicated to the disaster risk reduction agenda has been staged outside Geneva. A working session will be organized on Health and Disaster Risk Reduction and another session on the role of Science and Technology to achieve the Sendai Framework goals. Let us know if you are interested to join the organizing teams of these sessions. The program brings together the Department of Emergency Preparedness and Disaster Relief, the Unit of International Health Regulations/Epidemic Alert and Response, and Water Borne Diseases under a consolidated management structure that reports to the Director of PAHO. Natural disasters can strike anywhere, with little or no warning, and devastate entire communities. 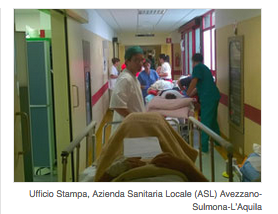 The earthquake that hit central Italy last week and the flooding that affected the former Yugoslav Republic of Macedonia earlier this month are 2 examples of the kinds of natural disasters that can occur in the WHO European Region. GENEVA - A new WHO air quality model confirms that 92% of the world’s population lives in places where air quality levels exceed WHO limits*. Information is presented via interactive maps, highlighting areas within countries that exceed WHO limits. According to the news release, health and migration are key concerns of WHO member countries across the region – with Thailand, India, Bangladesh and Indonesia named among the top ten countries witnessing large movements of people in Asia. In addition, WHO notes that migration poses greater risk and vulnerability to infectious diseases, mental health disorders, maternal and neonatal mortality, substance use, alcoholism, malnutrition, violence and non-communicable diseases. Governments at the UN Summit on Refugees and Migrants have adopted a landmark declaration that underlines the role of environmental degradation, climate change and disasters alongside conflict as drivers of the ongoing crisis. Newfound enthusiasm for the latest technologies, such as drones and smartphones, to improve the way aid is provided to people in disasters may be overblown, experts warned on Thursday. The annual World Risk Report from the United Nations University (UNU) highlights the growing interest in new technologies to improve emergency response - from drones that can survey crisis-hit areas to social media networks that allow survivors to communicate with the wider world. When Greg Burel tells people he's in charge of some secret government warehouses, he often gets asked if they're like the one at the end of Raiders of the Lost Ark, where the Ark of the Covenant gets packed away in a crate and hidden forever. "Well, no, not really," says Burel, director of a program called the Strategic National Stockpile at the Centers for Disease Control and Prevention. A natural hazard need not become a human disaster if society learns and applies lessons in preparation and resilience. 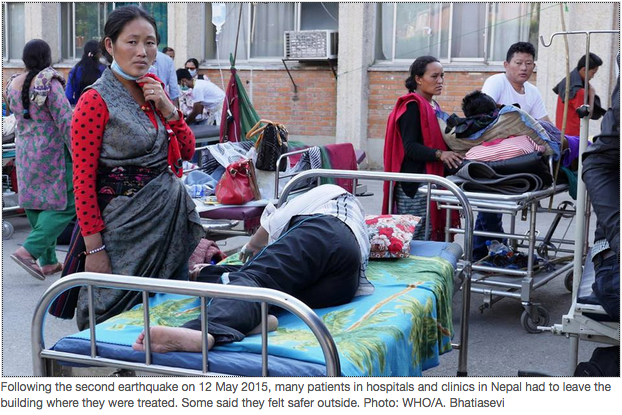 Countries in the south-east Asian sub-region have agreed to establish a dedicated funding stream to build preparedness for health emergencies in the region, which is also one of the most disaster-prone in the world, the United Nations health agency has said. ILRI’s new Animal and Human Health program brings together all health-related research at ILRI into one program. The program incorporates four thematic research areas: livestock vaccines and diagnostics, herd health, zoonoses and emerging infectious diseases, and food safety. "The world is in the midst of a different kind of public health emergency, one that is just as dramatic but not as visible. Except for the headline-grabbing 'superbugs,' antimicrobial resistance (AMR) doesn’t cause much public alarm." 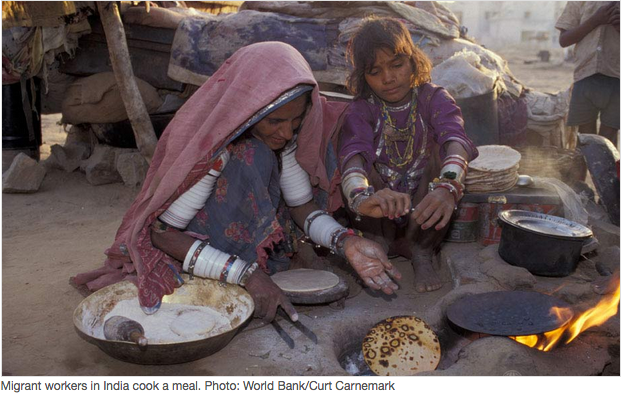 New research from World Bank shows that antimicrobial resistance would increase poverty and affect poorest countries the most. 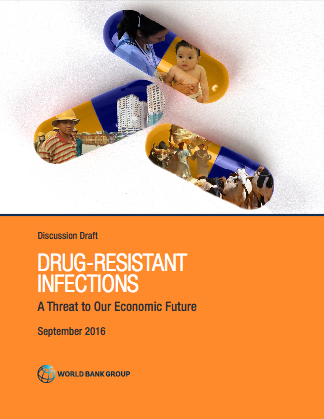 The report: “Drug-resistant infections: a threat to our economic future” is available here. Antimicrobial resistance, also known as "drug resistance", threatens our ability to prevent and treat an ever-increasing range of deadly infections. Globally, 480 000 people develop multi-drug resistant tuberculosis each year, and antimicrobial resistance is complicating the fight against HIV and malaria. Without antibiotics, the major surgery and cancer chemotherapy are also compromised. Antimicrobial resistance is a serious threat to global public health.